This handmade all natural soap is scented with Clary Sage & Geranium essential oils. Essential oils : Clary Sage (Salvia Sclarea) & Geranium (Pelargonium Graveolens), Geraniol*, Limonene*, Linalool*. 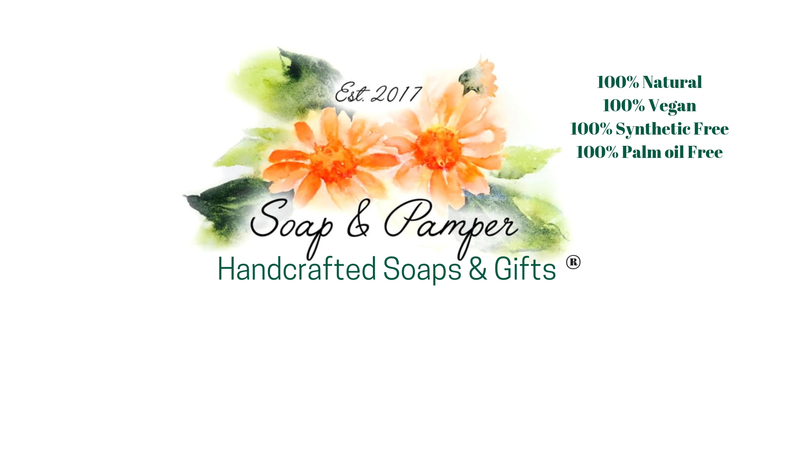 This all natural vegan soap is beautiful & calming as it contains essential oils that many believe promote relaxation and the feelings of serenity. For this reason it is a perfect soap to use after a hard days work. Clary Sage is used by many women to help reduce the ‘cranky’ feeling during PMS and is known to aromatherapists as one of the most powerful relaxants. Geranium is also known as a calming essential oil and an anti depressant. It is also a fabulously versatile oil which aids the balance of sebum so it is good for excessively dry or oily skin. Putting these 2 oils together has created a gorgeous smelling soap which just makes you feel soooo relaxed and tranquil.